The vines of Chablis are located in a sedimentary basin. This low-lying zone, once under the ocean, was gradually covered by the material that today make up the soil and subsoil of the Chablis wine region. 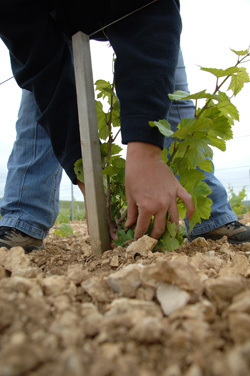 The subsoil in Chablis is known as Kimmeridgean. "The vineyards of Chablis have one sole religion: the Kimmeridgean," writes Jacques Fanet in his book "Les Terroirs du Vin" published by Hachette. The Kimmeridgean is a geological age in the Upper Jurassic epoch, around 150 million years ago. In Chablis, one finds subsoils of gray marl which alternate with bands of limestone, sometimes very rich in fossils of Exogyra virgula, a small, comma-shaped oyster that is characteristic of the marl from the Middle and Upper Kimmeridgean. 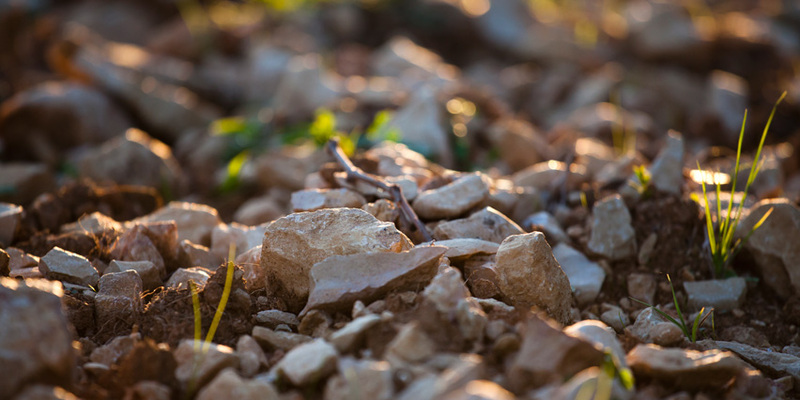 It is in this very particular subsoil, which in places breaks the surface, that the wines of Chablis draw their unique character, their purity, their sophistication and minerality.